From an Amazon bestselling author, the funny, tender story of two 30-somethings who are thrown together in a giant, hard-nosed corporation and break all the rules by falling in love. What happens to Katie and Jack will have you giggling, gasping, and feeling their enormous anguish as they are torn between their yearning for each other and their love and sense of responsibility for their kids and their often-insensitive spouses. 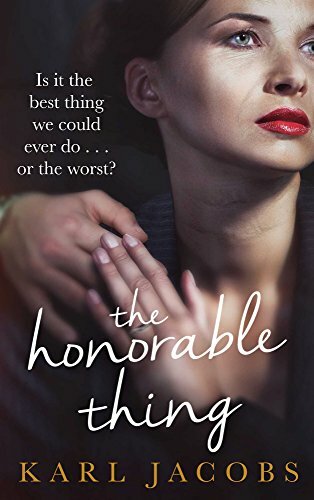 Click here or type in http://geni.us/DhHb8Xs into your web browser to pick up your copy of The Honorable Thing in the Amazon Kindle store. Karl Jacobs knows where the bodies are buried in corporate America. He’s worked in the corporate headquarters of major corporations on Rockefeller Plaza in Manhattan, in Newark, N.J., and in Wilmington, Delaware. He was vice president-executive communications and chief speechwriter for two Chairmen-CEOs at Prudential Insurance and special assistant to the Vice Chairman of DuPont. Before entering the business world, he was a writer and reporter with the St. Louis Post-Dispatch, covering major news events throughout the country, and became assistant city editor. He later served as press secretary for a United States Senator in Washington. Born and reared in Superior, Wisconsin, Karl is a journalism graduate of the University of Wisconsin-Madison and later returned there to do graduate work in sociology as a Sage Fellow. 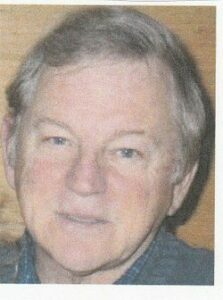 He and his wife Kay met in high school band when he winked at her on a quarter bet with a fellow trumpet-player. He was 16 and she was 14. He won both the quarter and, eventually, Kay. They have three adult children and now live in Arizona. You can visit Karl’s Amazon author page if you click here or type in http://geni.us/karljacobs into your web browser. Enter to win a new Kindle Paperwhite! Just click here or point your web browser to http://smarturl.it/1118gw and enter away!